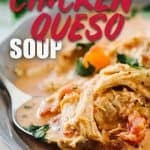 Zesty Queso Chicken Keto Soup-- Make in the Slow Cooker or Instant Pot! While I’m ready for winter to be over, I’m never ready for soup season to end. 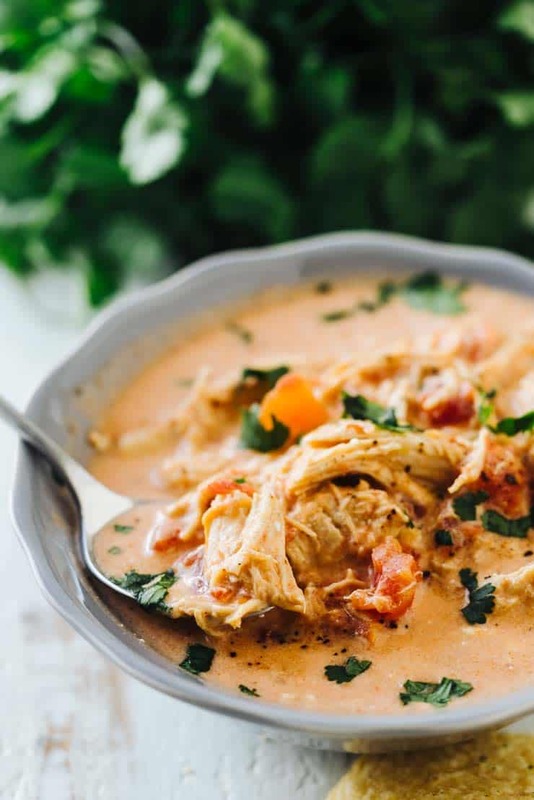 This queso keto chicken soup is creamy and smooth and packs a big punch of flavor from the use of salsa verde in the soup base. 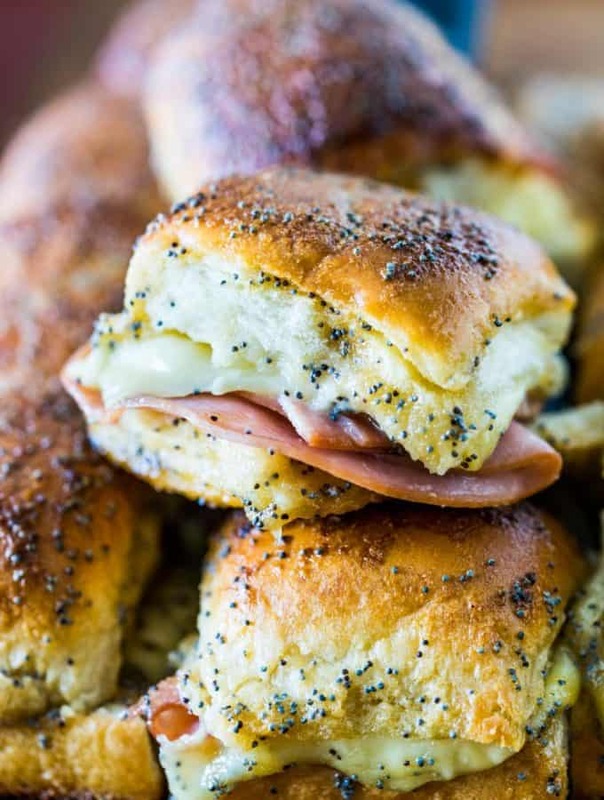 You can make this as low carb or high carb as you’d like, too! 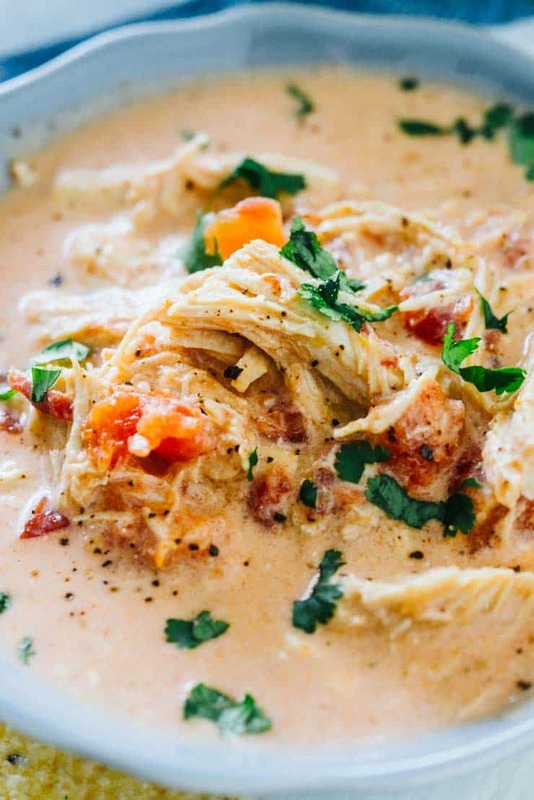 This chicken queso soup would be great with the addition of some black beans and frozen corn. Serving it up with some tortilla chips is also delicious! I’m very non-committedly trying to eat keto for a while so I keep the recipe as is and eat with a good serving of diced avocado and Monterrey jack cheese. I’m pretty sure I could live off this soup. 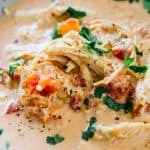 This chicken queso soup can be made quickly in the Instant pot and it’s definitely my favorite way to make it! Directions for doing so are in the recipe card below. 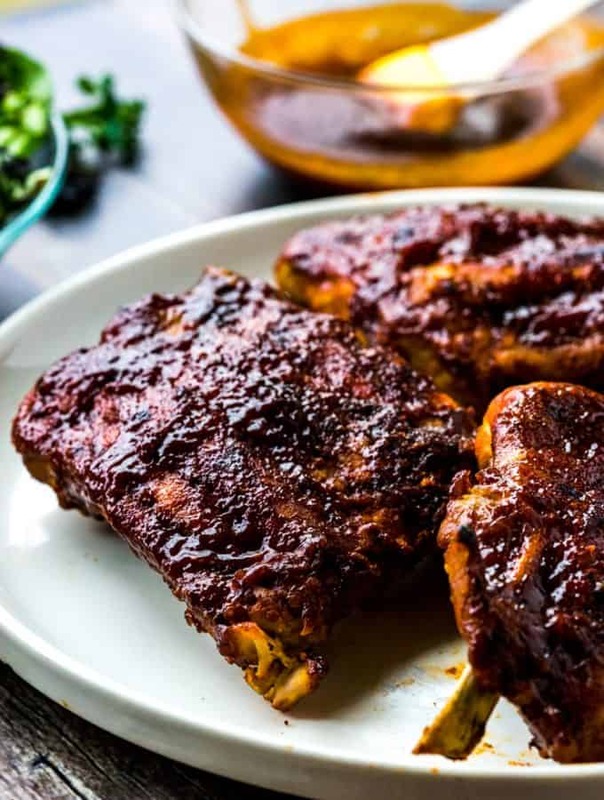 When I think ahead this recipe is great in the slow cooker, too. 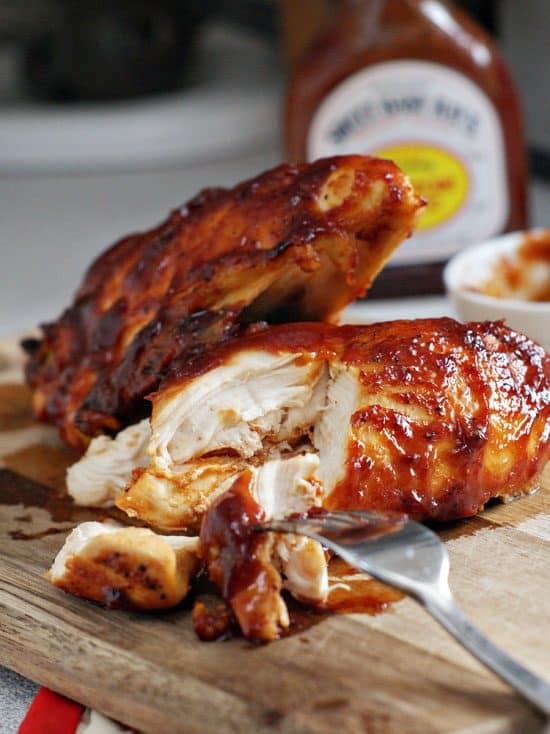 Just throw all the ingredients into the slow cooker and cook on low for at least 6 hours or until the chicken shreds easily. Adding ingredients: like I mentioned above, if you don’t need this soup to be low-carb, this soup is great with the addition of black beans and frozen corn. Just add them in with the rest of the soup ingredients and cook as directed. 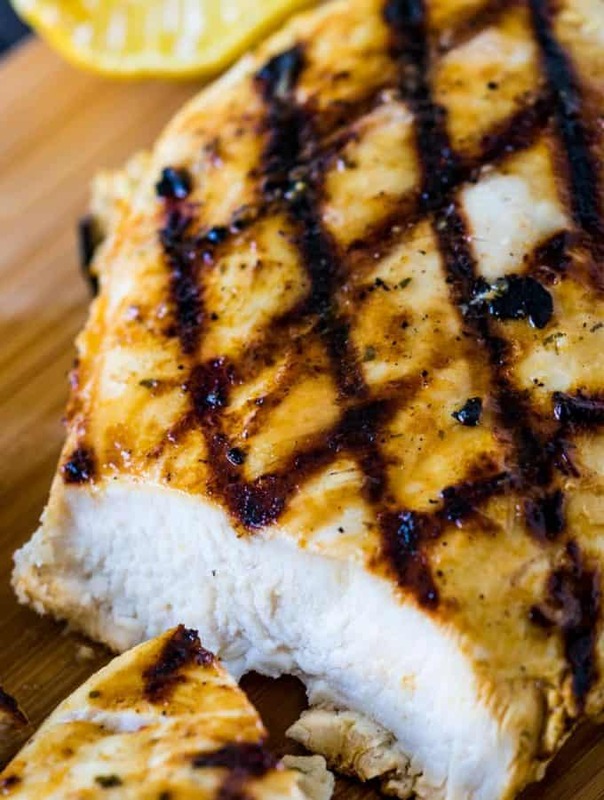 The recipe calls for salsa verde or green salsa. Note that prepared salsa verde can vary greatly in heat. I’ve found that Herdez brand has a medium heat that my family can handle. La Costena is another brand I’ve used and liked. 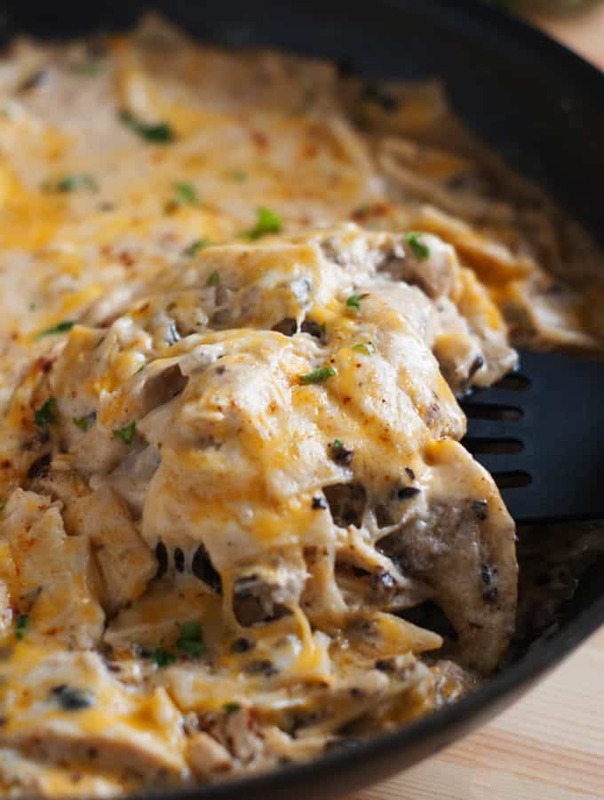 Can I use Neufchatel Cheese instead of full-fat Cream Cheese? Neufchatel cheese is very similar to cream cheese but is a bit moister and has a lower fat content (1/3 fat) of regular cream cheese. I haven’t tried using it in this recipe specifically, but have in other soup recipes with success. 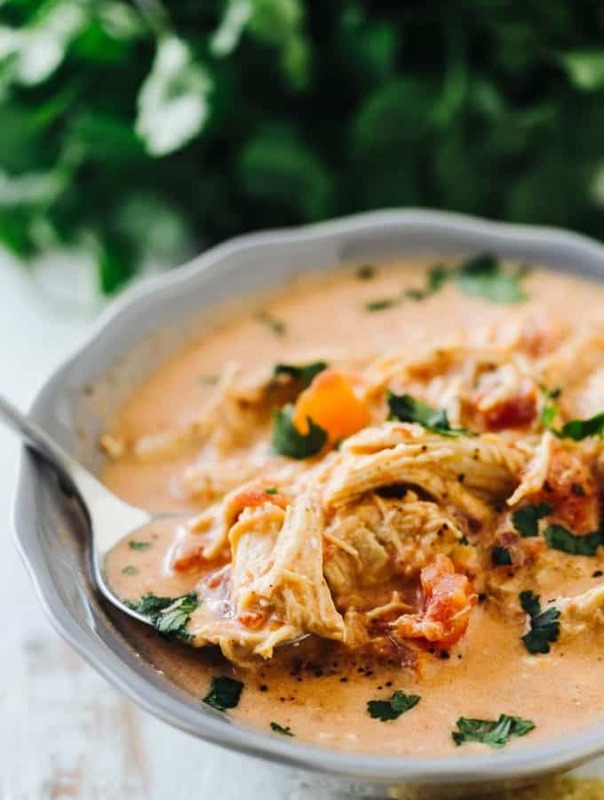 It may be a bit harder to incorporate into the soup, so you may have to put a little bit of muscle into it, but it should melt fully and leave you with a soup that is lower in fat. I do not advise using fat-free cream cheese, however. 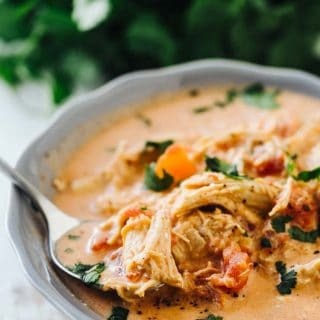 Whether you eat keto or not, this zesty queso keto chicken soup is my new favorite for chilly nights. 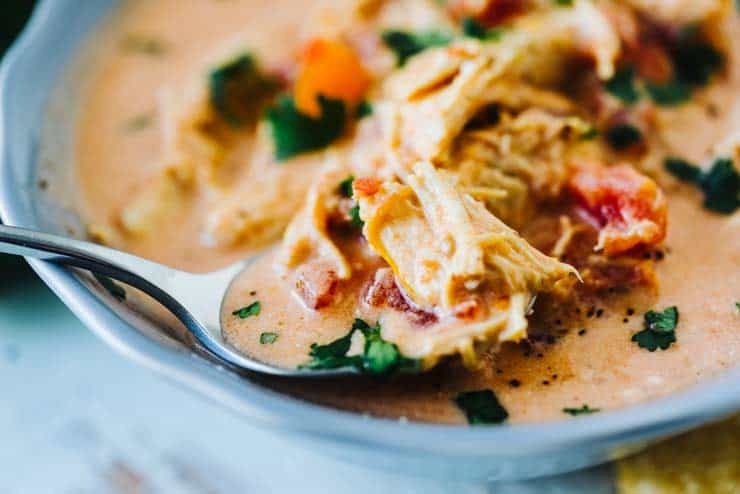 You can make it in the slow cooker or instant pot and it's creamy, slightly spicy and full of flavor. Jeebus can you shrink the ads? Your site has my computer running 10 times slower. Sorry about that! 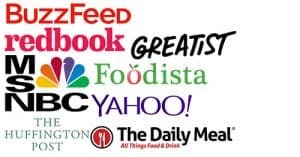 The ads allow me to create recipes and make them available to you for FREE. Perhaps consider downloading an Ad blocker on your browser if website ads make your computer run slow. Thanks for visiting! Sodium content is 44 percent. That is extremely high. Maybe it can be adjusted. Please be aware nutrition facts are for reference only and calculated through an app. Please do your own calculations if you have certain dietary restrictions. Three thumbs up from my family! This immediately went on the list of foods to eat again. 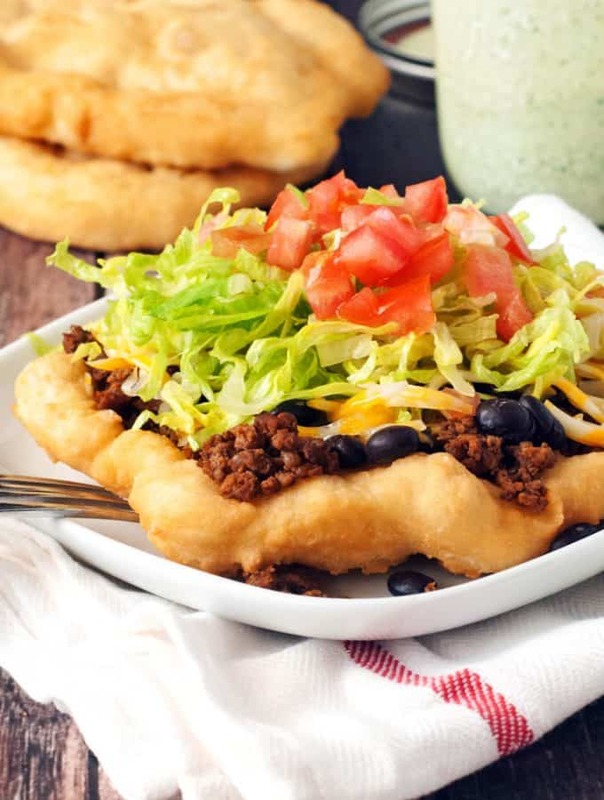 I’m always searching for something new to feed my diabetic husband who controls his diabetes with his diet, and with my homemade taco seasoning, this was declared a winner. Recipe for your taco seasoning? 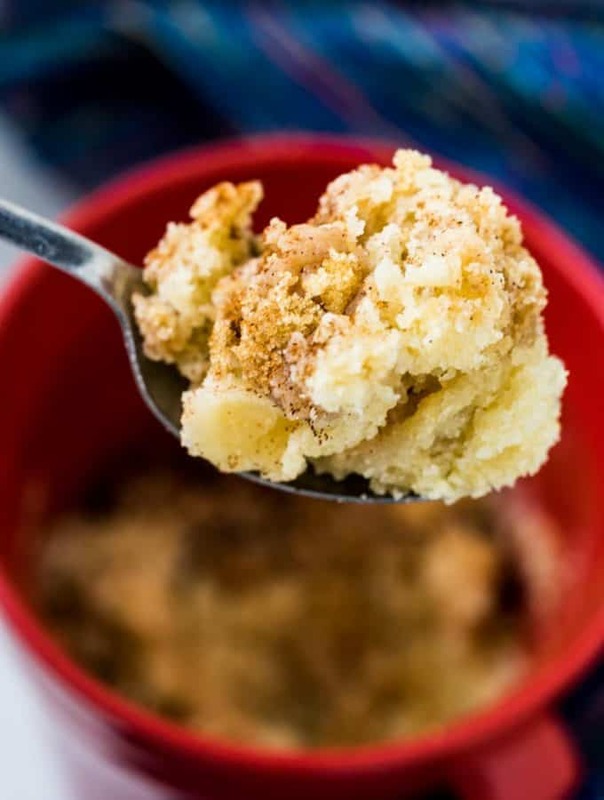 https://heatherlikesfood.com/homemade-spice-mix-recipes-printable/ Omit the cornstarch if needed.